Jury duty! Scottish royalty! Kids Week! 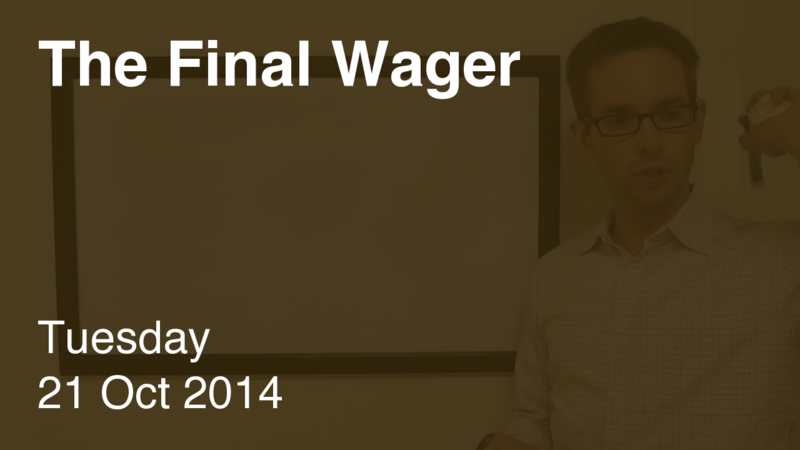 And if we have any time at the end, some wagering. A double-lock – no one needs to do anything. In the video, I’ll talk about getting a jury summons, a throwback to my interview with Julia Collins, and much, much more! Alexander has it locked up, and can wager up to 10,200. 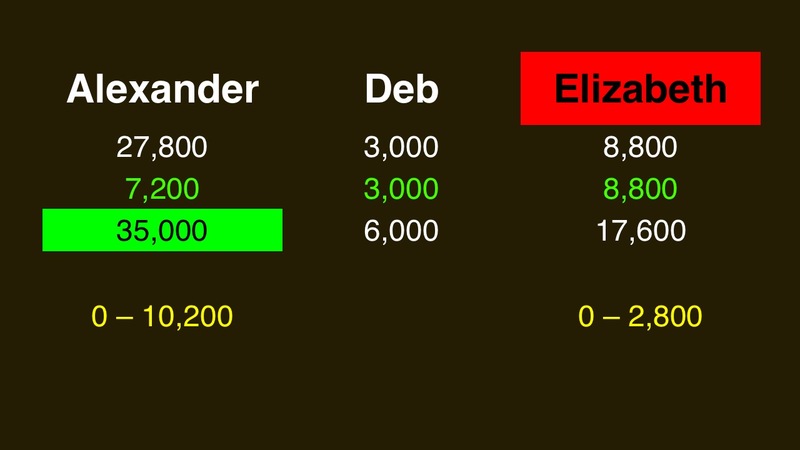 Elizabeth can wager up to 2,800 to preserve second. ARGH! Why do you all do this to yourselves? !